League of Angels - Fire Raiders, GTArcade’s epic action strategy RPG for mobile, has seen immense success since its worldwide release. Offering the perfect blend of action and strategy, Fire Raiders has provided a robust gaming experience for millions of players all over the world. Big content updates have introduced new characters, features, play modes, and so much more. The game is jam-packed with things to do, but its about to get even bigger! GTArcade is excited to introduce Update 2.4 for Fire Raiders, one of the largest updates to date! So what can players look forward to in this new version? Cross server PvP is here! 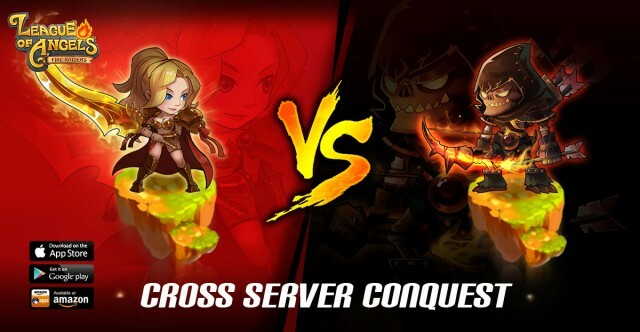 Cross Server Conquest will match players from all over the world against one another in a truly global competition. The top 300 players from an initial Points Tournament will be invited to the Grand Tournament where they will compete to reach the top 64. As these top gladiators continue to battle for the crown, they will earn exclusive rewards like unique chat titles and account avatars to display their conquests for the world to see! But don’t worry, all players can participate and earn rewards in Cross Server Conquest! 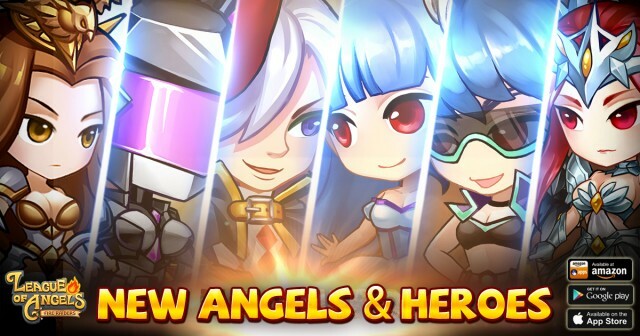 With the update, 2 new Angels and 4 new Heroes make their debut! This is one of the biggest expansion of characters since launch! Victoria, the Angel of Battle, enters the fray to bring the fight to the demons. Void Shadow is a new assassin hero that is as deadly as she is mysterious. 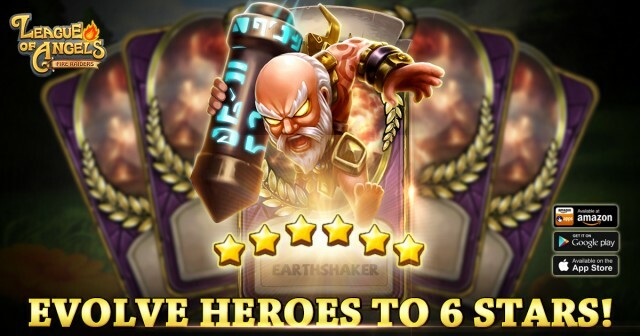 In addition, all heroes can now be upgraded to 6 star rank. Fire Raiders continues to exceed expectations and the playerbase has grown immensely. The official Fire Raiders Facebook page has now reached over 450,000 fans. Players are encouraged to check the page regularly to find giveaways and other special events and announcements. GTArcade is also continuing efforts to make Fire Raiders more accessible to players around the world. The game is now available in English, French, German, and Turkish, and support for Russian will be added later this month. 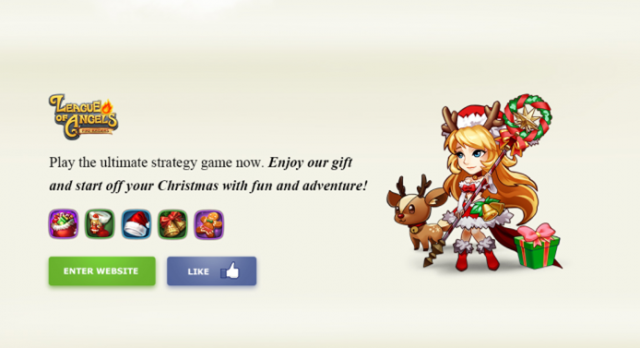 In the upcoming weeks, expect many festive surprises in store for Christmas and holiday season. 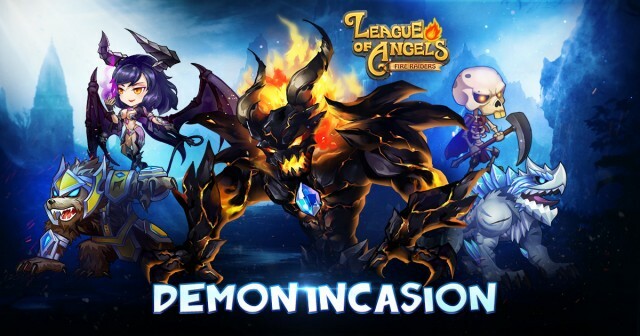 Be sure to stay tuned for more news regarding League of Angels - Fire Raiders on the official Facebook page and website. If you have not experienced Fire Raiders yet, now is the perfect time to start your grand adventure!